Thomas West, baritone, is a creative artist and entrepreneur whose work expands across disciplines. 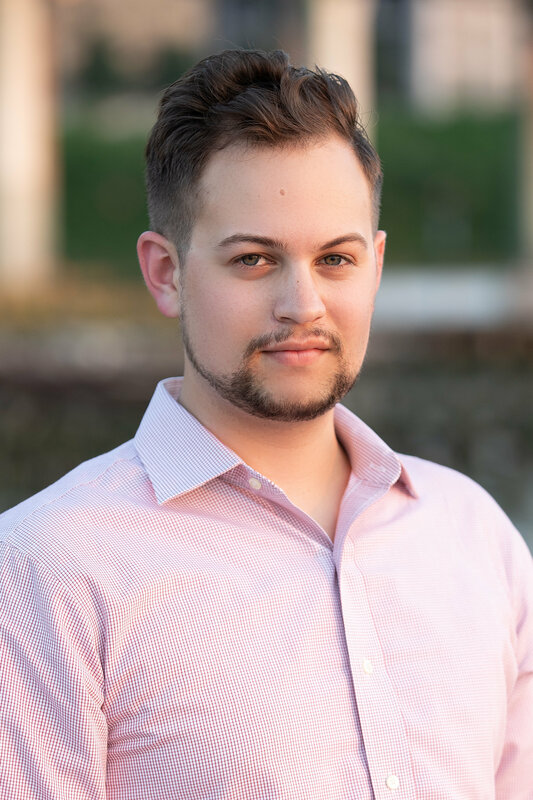 His 2018-2019 season brings about two important role debuts as Silvio in Pagliacci with Opera San Jose and Morales in Carmen with the Chattanooga Symphony and Opera. Recent career highlights include Bill in Bernstein’s A Quiet Place at the Tanglewood Music Festival, The Astrologer in Britten’s The Burning Fiery Furnace at Juilliard, Brahms’ Ein Deutsches Requiem with the Mississippi Symphony, and the title role in Britten’s Billy Budd in a semi-staged production on Governor’s Island directed by Ain Gordon. A champion of new and obscure work, his credits include the U.S. Premiere of Ethel Smyth’s The Prison with Cantori New York, Count Valerio in the U.S. Premiere of Thea Musgrave’s The Voice of Ariadne, and the world premieres of Wayne Oquin’s Meditation, Matthew Liu’s Decades and Tim Hinck’s 4:32 pm Buehler’s Market. Organizations he has performed with include the New York Festival of Song, Opera America, and the Bedford Chamber Concert Series. In 2014, President Barack Obama named Mr. West a Presidential Scholar in the Arts. Along with his accolades as a performer, Mr. West is an NPR’s From the Top spotlight arts leader and recipient of their 2018 Alumni Leadership Grant. At Juilliard, Mr. West was one of the founders behind OperaComp, a laboratory for composers, singers and playwrights to develop new opera scenes. He is the executive director and founder of Collaborative Arts Ensemble, a 501©3 collective of interdisciplinary performing artists dedicated to developing innovative and socially conscious concert programming. Mr. West holds a BM from The Juilliard School in Vocal Performance where he was named a Career Advancement Fellow and a Juilliard ambassador to the National Artist as Citizen Conference.